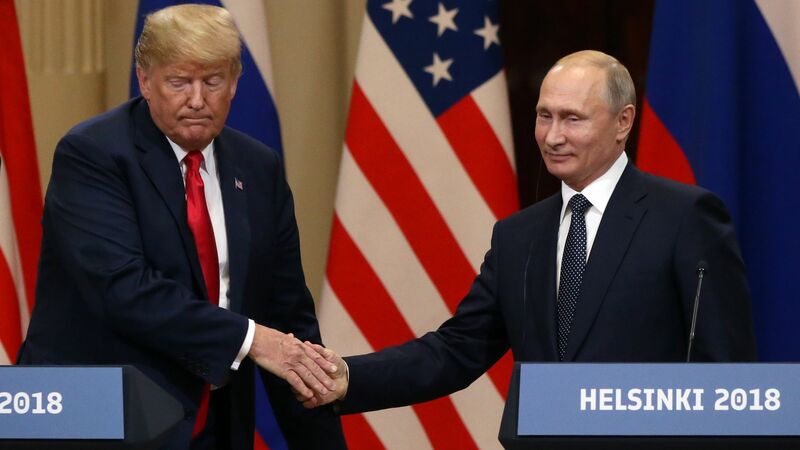 At his Helsinki summit with President Trump, Vladimir Putin argued for letting bygones be bygones and opening a new era in U.S.–Russia relations, something Trump was happy to embrace. Trump went on to indulge in some unfortunate moral equivalence by stating that both countries bore the blame for the poor state of their relationship. Why it matters: As was the case in Singapore, Trump exaggerated what had been accomplished at the summit. Indeed, little appeared settled in the way of policy other than perhaps a revival of arms control talks. Simply by taking place, the summit further normalized Russia’s ties to the outside world, which have atrophied since its annexation of Crimea in 2014. Putin’s call for greater humanitarian help for Syria won the day’s chutzpah award given all that Russia has done to create that humanitarian crisis in the first place. The most striking feature of what we know — and no one should forget that the length of the leaders' one-on-one meeting means we don’t know what we don’t know — was Trump’s refusal to back the assessments of his own intelligence and law enforcement agencies. Instead, Trump appeared once again to accept Putin's complete denial of Russian wrongdoing in the 2016 election. He even liked Putin’s self-serving suggestion that the two governments form a working group to investigate the matter. The indictments could have been used by Trump to press Putin, but his behavior only served to reinforce questions about why he has been so reluctant to confront Russia from the get-go. The big picture: Helsinki should not be viewed in a vacuum. It was a worrisome and in many ways objectionable finale to a week that did much to undermine the foundations of U.S. foreign policy — especially NATO and the U.S.–U.K. special relationship — that have contributed so much to U.S. security, prosperity and influence for the better part of a century. Alas, the trip provided nothing that would take their place.